"This is not at all surprising," said one domestic violence advocate. A new United Nations report shows about 50,000 women were killed globally last year by their "intimate partner" or family member. This equates to 137 women per day — or nearly six every hour. The report, released Sunday by the U.N. Office on Drugs and Crime (UNODC), tied to the U.N.'s International Day for the Elimination of Violence Against Women, shows the Americas ranked third-worst globally. According to the study: "A total of 87,000 women were intentionally killed in 2017. More than half of them (58 per cent) ̶ 50,000 ̶ were killed by intimate partners or family members, meaning that 137 women across the world are killed by a member of their own family every day. More than a third (30,000) of the women intentionally killed in 2017 were killed by their current or former intimate partner ̶ someone they would normally expect to trust." In the United States alone, a 2017 study by the Centers for Disease Control and Prevention similarly found that nearly half of all female homicide victims are killed by either an intimate partner, or the partner's family or friends. Rachel Goldsmith, vice president of domestic violence centers at Safe Horizon, a victim's assistance organization, noted that the the numbers in the global report are not surprising. "In the U.S. we have known for a long time that statistically women are not being killed at the same rate by strangers or bystanders," Goldsmith told NBC News on Monday. "The recent incident in Chicago is the most poignant example of this." She was referring to last week when a 32-year-old man, Juan Lopez, shot and killed his former fiancee and two other bystanders, before killing himself outside of a Chicago hospital. The incident occurred as Dr. Tamara O'Neal, 38, was leaving her shift at Mercy Hospital and Medical Center when she got into a confrontation with Juan Lopez, according to officials. Lopez had history of red flags that included threatening to confront his estranged wife at her workplace and engaging in aggressive behavior toward women at the city's fire academy, according to a county court filing and officials' statements to NBC Chicago. The recent CDC study on the role of intimate partner violence shows that women are at higher risk of domestic violence right after they leave their partner. "This is happening all across the country where women who have made the decision to leave a relationship and their partners have decided to respond with firearms or violence," Goldsmith said. Among the U.N.'s findings, the report calls for women to gain more access to a comprehensive range of services provided by the police and justice system. It also recommends more involvement between health and social services, highlighting the importance of early education. "The reality is that domestic violence is about power and control but there are things that can be protective such as restricting access to firearms and implementing supportive health services," Goldsmith said. Shortly after the release of the U.N. report, thousands of protesters took to the streets major cities in Europe and the Middle East to mark the International Day for Elimination of Violence Against Women. 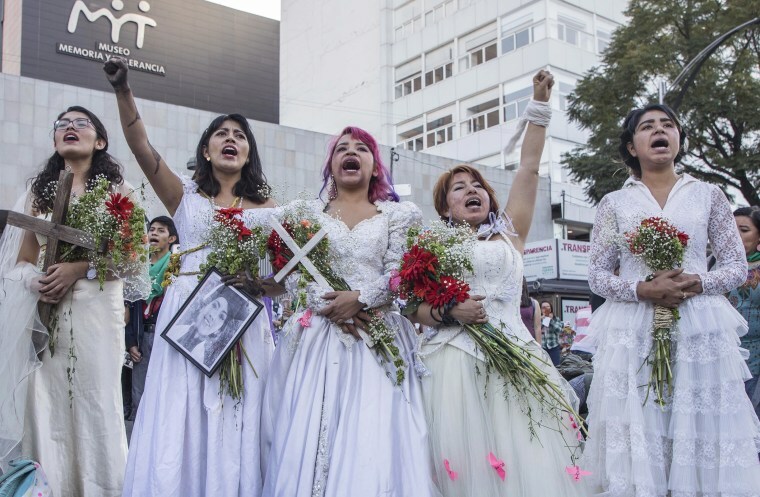 The protests were part of a 16-day-campaign by the U.N., urging organizations and individuals to fight against this kind of violence against women.